Dallas, Texas – December 12, 2012 – Secure cloud hosting provider, FireHost, today announced that CEO and founder, Chris Drake, has been honored by the University of North Texas (UNT) as a 2013 Distinguished Young Alumni Award recipient. The award was created in 2011 to recognize alumni under the age of 40 for distinguished career achievement, and also acknowledges alumni community service and commitment to the university. Drake is a 2001 graduate of the College of Business where he earned a Bachelor of Business Administration in Marketing, and was also named as the UNT Business Marketing Alumni of the Year in 2007. The UNT Alumni Awards is an annual event that recognizes those individuals that have been deemed of the highest caliber and whose career and community contributions reflect favorably on the school. The Awards will be presented at a reception dinner on Friday, February 22, 2013 at the Apogee Stadium, home of the UNT Mean Green football team. FireHost protects the websites, applications, and data of thousands of customers from almost forty countries around the world, including many Fortune 50 and Fortune 500 businesses such as 3M, Hamilton Beach, and Farmers Insurance Group. The company has grown an average of 200 percent a year since its inception and anticipates strong growth to continue in both the US and Europe throughout 2013. Drake, who recently won the Dallas Business Journal’s “40 Under 40” award, has led FireHost to be recognized as the industry’s leading secure cloud infrastructure. Over the past 12 months, FireHost has blocked more than 50 million attempted hacks against its customers, secured $10MM in series C funding, opened a European headquarters, and been lauded by analyst firms for its approach to securing cloud data. Gartner recognized FireHost as “One to Watch” in its Cloud Hosting and Managed Hosting Magic Quadrants, and has named the company in its “Cool Vendor” report, citing its innovation and accomplishments. FireHost is a secure cloud hosting company focused on protecting companies’ sensitive data and brand reputations with an architecture built for security, scalability and performance. 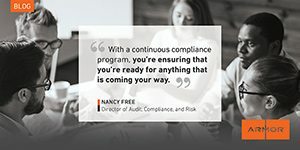 Customers with specific compliance or performance needs subscribe to FireHost’s PCI, HIPAA or high traffic solutions, including some of the largest companies in the world as well as many fast growing eCommerce, SaaS and healthcare IT providers. FireHost provides services from Dallas, Phoenix, London and Amsterdam.